The bill, HB-1267, is sponsored in the House by Representative Jonathan Singer (D-Longmont) and Representative Meg Froelich (D-Greenwood Village). The bill, “The Human Right to Work with Dignity Act,” was approved, following the addition of three amendments, by the House Judiciary Committee on abipartisan 9-1 vote Tuesday and sent to the House Floor for Second Reading consideration. The lone “no” vote was cast by Representative Hugh McKean, R-Loveland, who was concerned about a provision that would have held liable a company whose sub-contractors failed to pay their workers. According to statehouse reporter Ed Sealover of The Denver Business Journal, McKean said that the sponsors had agreed to correct this provision on the House Floor. Boulder County District Attorney Michael Dougherty stated that wage theft costs workers in Colorado $750 million, according to Sealover. HB-1267, if enacted, will update the 2014 law that subjects employers to penalties for wage theft. Prior to 2014, workers could complain to the Colorado Department of Labor and Employment (CDLE) about alleged wage theft. The CDLE would then advise them on how to file a case in small-claims court. In 2014, the final version of SB-5 reflected months of work by the Colorado Chamber with the sponsors and the bill’s supporters to reach a compromise that directs unresolved claims by workers over wages, benefits and vacation pay to the CDLE, which will then investigate and could issue orders for employers to pay workers and could cite the employers. The minimum penalty for a misdemeanor violation currently is 30 days in jail or a $300 fine. SB-5 imposed a fine of up to $7,500 if the CDLE found for the worker and increased it by 50 percent if the violation was willful. Proponents argued that a stronger penalty is needed for companies that take advantage of immigrant and poor workers, according to Sealover. Some Colorado Chamber members had concerns about a provision in the introduced bill (see below in the bill summary) that would have removed the exemption for criminal penalties for an employer who was in Chapter 7 bankruptcy proceedings. This provision would have overruled a Colorado Supreme Court decision (Leonard vs. McMorris) that held that corporate officers could not be held personally liable for unpaid wages in a bankruptcy proceeding. 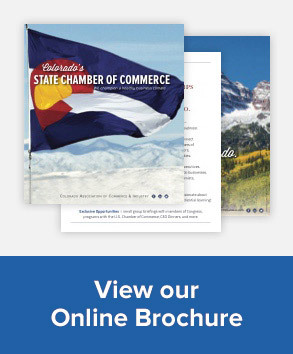 The Colorado Chamber filed two amicus curiae briefs in the Federal Court case and the referral to the Colorado Supreme Court. When a corporation becomes insolvent and declares Chapter 7 bankruptcy, the officers and directors should not be held personally responsible for the unpaid wages of workers. The remaining assets of the liquidated company would be available to pay all the claims, including unpaid wages, which is what the Colorado Supreme Court held under the existing statute. The next meeting of the Chamber’s Labor & Employment Council is Wednesday, April 10th, and the bill will be brought up for discussion by the Council. The bill prohibits wage theft with the intent to coerce a person who is owed wages. The bill defines wage theft as theft, which is a felony when the theft is of an amount greater than $2,000. The bill removes the exemption from criminal penalties for an employer who is unable to pay wages or compensation because of a chapter 7 bankruptcy action or other court action resulting in the employer having limited control over his or her assets. The bill includes in the definition of employee any person who performs work that is an integral part of the employer’s business and includes in the definition of employer foreign labor contractors, officers or agents of an employer entity, and any person acting directly or indirectly in the interest of an employer in relation to an employee. Under existing law, an employer who pays an employee a wage less than the minimum wage is guilty of a misdemeanor. Under the bill, a person who willfully pays a wage less than the minimum commits theft, which is a felony when the theft is of an amount greater than $2,000. Under current law, an employer convicted of intentionally refusing to pay a wage claim, falsely denying a wage claim with the intent to not pay, or underpaying the claim to harass or defraud the person owed the wage is guilty of an unclassified misdemeanor. An employer convicted of paying less than the minimum wage is also guilty of an unclassified misdemeanor. This bill classifies these crimes as theft which can be a petty offense, misdemeanor, or felony depending on the amount of wages withheld or underpaid. Chamber members who have questions about the bill should contact Chamber contract lobbyist Larry Hudson at 303.249.4234. “Colorado Legislature advancing bill to create felony penalties for wage theft,” by Ed Sealover, The Denver Business Journal, April 4th.